Because of a Fraudulent Seller’s Disclosure and loads of cover-up and deceit on the part of the sellers (long story for another post; explains how I found out about my environmental allergies, including my severe mold allergy), we had a bigger, completely unanticipated project in our home that required immediate attention. Now that it’s tax time, I finally get my new countertop. Woo Who! No kitchen sink, dishwasher, or countertop is NOT going to stop Scratch Mommy. Oh no! I will be resourceful and make it work; that’s just what I have to do. 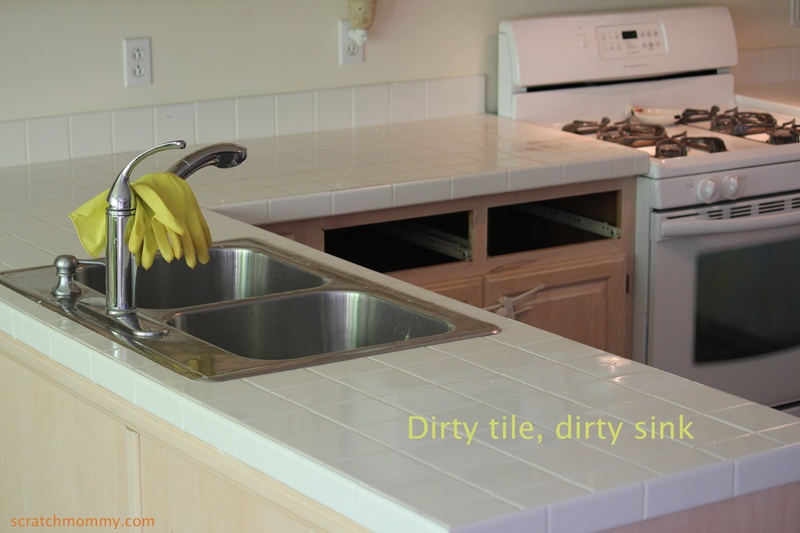 Have you been without a sink, dishwasher, and countertop for three weeks? I am now accepting advice and tips!!! Today was my first full day with no countertops, sink, or dishwasher. Although I certainly noticed, the hassels were certainly offset by the fact that I got to hang out with two of my very favorite girls today. My lifelong best friend (sister, really) dropped them off to spend the day with me. We had a blast! We played with my 17 month old (wore him out! ), took a nice walk outside, chatted, played online, and made some scratch food. They had never made a homemade pizza. 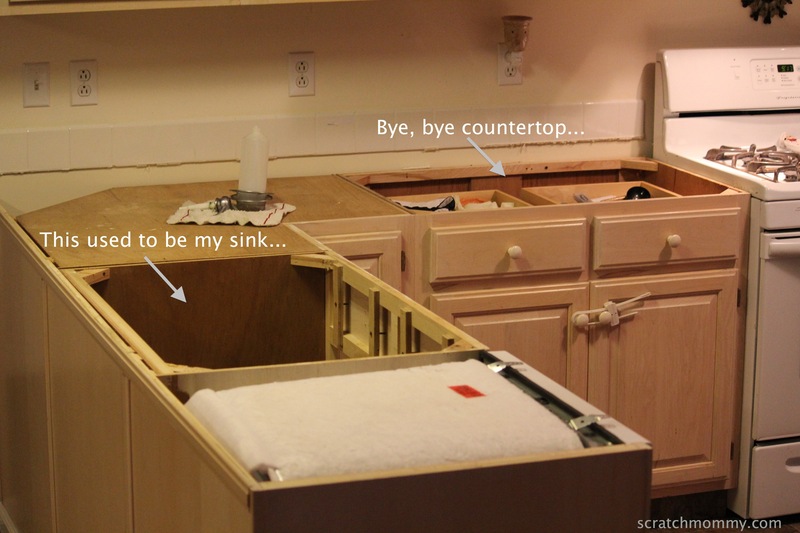 Not having a countertop, sink, or dishwasher was keeping me from this challenge…let’s do it! 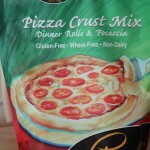 I am absolutely in LOVE with Pamela’s Pizza Mix. 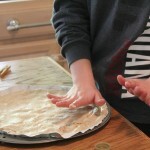 I’ve used it for thin and thick crust pizzas, focaccia bread, and rolls. It is my go-to, easy flour mix. 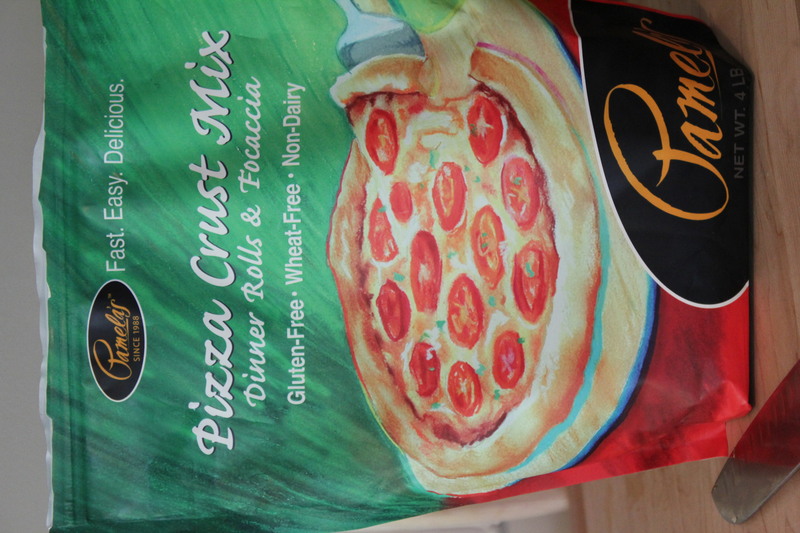 It is completely allergen free (including free from gluten, wheat, and xantham gum, which are crucial for my family). I have never had a bad recipe from this mix. Gabby with extra cheese, please! 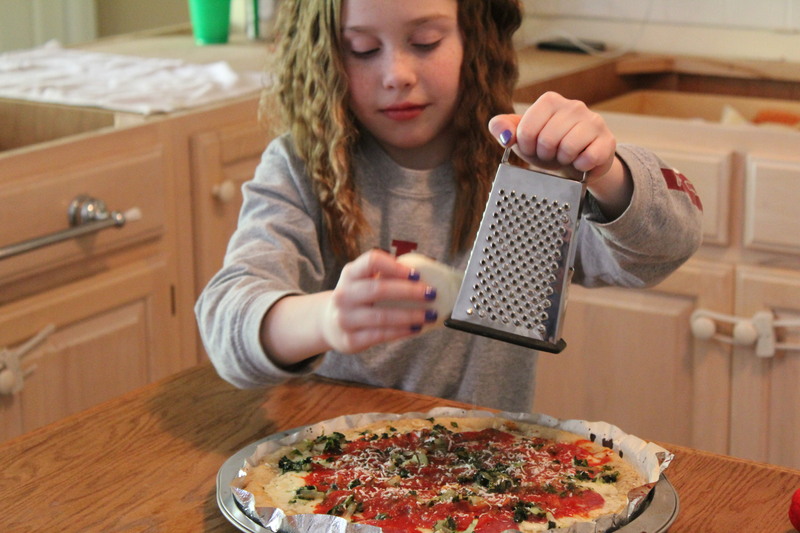 We sauteed our veggies (in Tropical Traditions organic coconut oil, of course), followed the directions just as they are written on the back of the mix, and all loved our pizza. Success! 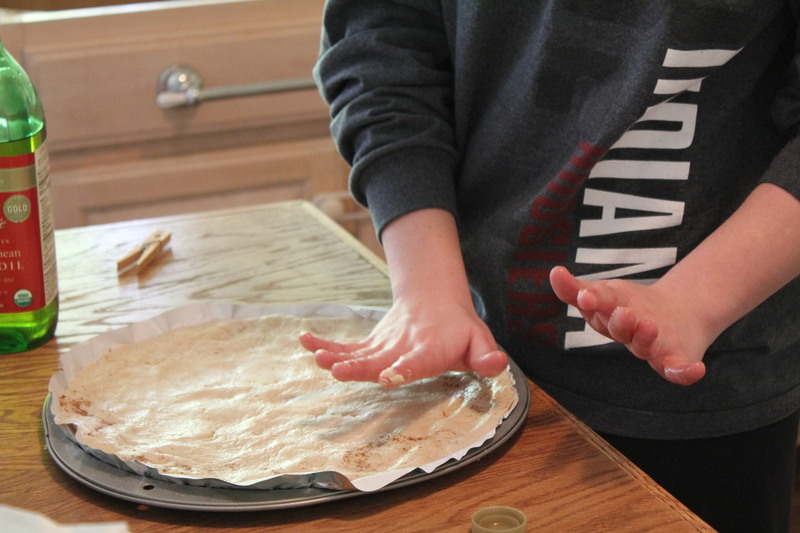 This post was shared at– Sage, Herb Weaving, Encourage One Another, Saturday Show & Tell, The Better Mom Mondays Linkup, Tuesday Time Out, What I Ate Wednesday, On The Menu Monday, Hearth & Soul, Gluten Free Fridays. Jessica, the pizza sounds great. Pizza is in a food group all its own. Love it. I’ll bet you guys did have a good time putting that together. Yummmmm. Now, I want a pizza!! We were happy to help out with the countertop removal. Eazey Peazey Lemon Squeezy. Oh how fun! I want to wish you the very best of luck with your new kitchen updates! How exciting! So wonderful and such a blessing to have awesome family,friends and neighbors. Looks like you enjoyed your day and a good time was had by all! Wheee….I enjoyed reading your post. Pamela’s is an awesome product, it’s very consistant in it’s results, I however am unable to use it because of the potato starch and buttermilk. So glad many others are able to enjoy it as it is a great product to have on hand for most. 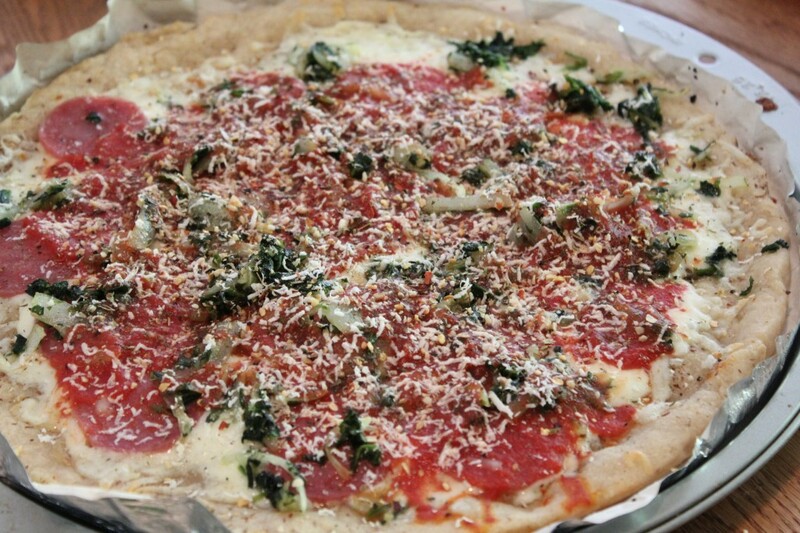 Your new kitchen and your pizza look like a lot of fun. Thanks for sharing and have a good week. All your hard work will definitely be worth it in the end! 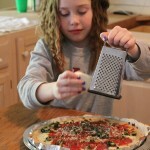 Your pizza looks delicious, and it’s wonderful that the kids were able to join in with making it! We have a Gluten Free gift basket giveaway this week! One lucky winner will score an awesome basket, just in time for Mothers Day!